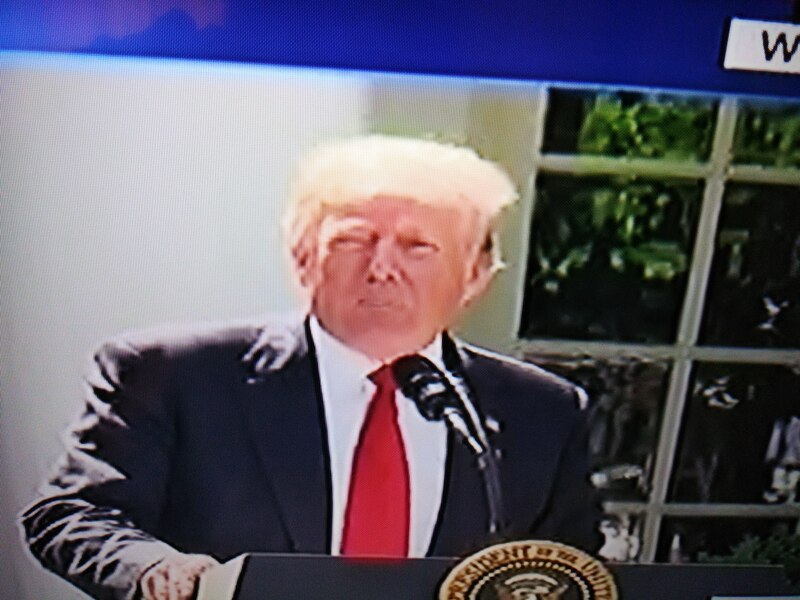 ” President Donald Trump turns 71 – ‘ Prix special ‘ ” – June 14, 2017. President Donald Trump made his mark well in creating a Business Empire; he made his mark well as a Television personality; and in a hat-trick he repeated a similar feat in Politics by swinging the Republican Party to power – from the time he threw his gauntlet in the Election fray in June 2015 to the time on November 8, 2016, when he emerged victorious – in an Election that American history will possibly record as Historic. Assuming power on January 20, 2017, he never looked at the mirror, but only at the heart of his constituency ( even if this is not a decent majority – with only 35-38% approval rating now ), and began planning programs ostensibly to benefit them, even when open opposition coupled with gossips tried to run him down. He remains energetic and even defies age. But the expected accolades with potential to refresh him did not arrive; on the contrary cats came out of the bag in more than good measure. Whether it was his own making or otherwise, one could not have experienced a more challenging time during the initial days of Presidency than Donald Trump possibly. Donald Trump could not gild the pill; he could not gild the lily; he could not create an effective ginger group; and he received criticisms galore from all quarters – some whole truths and some gas and gaiters. His travel ban had gone sour again; his climate change stand was not received with goodwill by a majority of nations; his move to install the border wall has not seen any promising or propitious reaction due to cost, time, and effort as at present; his firing of Sally Yates and James Comey were perceived as missteps in decision-making; his repeal and replace of Affordable Care Act even while earning support from some, still stands incomplete. Will this be his ‘resolve’ now at 71? ” I need to display mellow natures and mellow the hearts of people to bring them to my side; this will also get my defenses stronger and stronger “. My Commonsense belief affirms that in President Donald Trump’s case the opinions he hold strongly seem to hold him in turn strongly. Analysts and people alike debate whether his strong opinions, specially on issues like immigration, border wall, climate change, … … , come from less adequate understanding of the totality of the issues themselves, or from his own firm conviction as to what he thinks and places to pass will yield real good for the nation in future. Time alone can pass the judgment. Most of President Donald Trump’s admirers would be too happy to call him a ‘true leader’, and be proud to be part of his scheme of actions. It is the continued spirit and sense in their minds with novel, inspiring programs from the leader, and widespread growth of similar feelings in the minds of a majority of the population with the combined grace, strength, and wisdom of his advisers that will mark his “Leadership” in this tumultuous period during his term. God’s guidance is the best Wish. Wednesday, June 14, 2017 – 11. 01 a.m. ( IST). Tidbit : ” On his birthday it will be nice if someone sent him just 51 or 61 flowers instead of 71 for his attribute of making Age Jealous “.